Motor trade businesses are preparing for Euro-6, with just 100 days left until the new European vehicle emissions regulation come into effect. 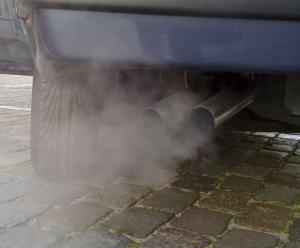 The Euro-6 initiative, which is set to come into effect from 1 September this year, will be the strictest-ever vehicle emissions regulation for European cars. All new cars manufactured must meet the new standards that require virtually zero CO2 emissions, while nitrogen oxides emissions are more than half those of previous generation motors built in the past five years. The new European regulations are designed to protect the planet, but it is important that motor trade businesses also protect their own assets - particularly their stock - with a road risks insurance policy or, should they operate from a set premises, a combined motor trade insurance policy. This will offer cover for cars, parts, equipment and the building itself in case anything is damaged or stolen. Around half of new car buyers opted for a Euro-6 compliant car in the UK last month, ahead of the implementation of new compliance rules, according to the Society of Motor Manufacturers and Traders (SMMT). This is compared with fewer than one in five (18.7 per cent) going for the environmentally friendly cars in September 2014. Car dealers are also embracing the changes ahead of the 1 September switchover. The SMMT stated that 70.4 per cent of the UK’s top 10 best-sellers registered last month met the standard. Mike Hawes, SMMT chief executive, commented: "With 100 days still to go until the new Euro-6 standard becomes mandatory, new car buyers are shifting to these next-generation vehicles. This is the result of huge investment from manufacturers in clean technology – and the quicker we get these Euro-6 cars onto the roads, the quicker we’ll see improvements in air quality."